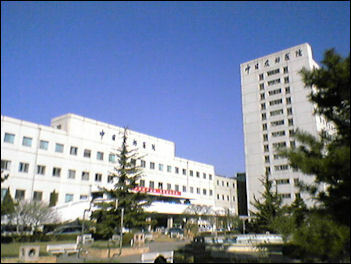 China Japan Friendship HospitalChina has the most hospitals (60,784) and the most doctors (1.97 million) of any country in the world. In 1949 when the Communists came to power there were only 2,600 hospitals in China. In China there are now 17 doctors per 10,000 people compared to 25 per 10,000 people in the United States. Put another way there are 730 people per doctor, compared to 32,650 in Ethiopia, 611 in the United States and 210 in Italy. About 4.5 percent of gross domestic product (GDP) allocated to healthcare, half of which comes from the private sector. By comparison the average healthcare expenditure of countries in the European Union is 9 percent of GDP, while in the United States it is nearer to 16 percent. Health care in China can range from a tooth pulled by sidewalk dentist at a local market to a sophisticated transplant operation performed at a major city hospital. A rural birth costs around $35. 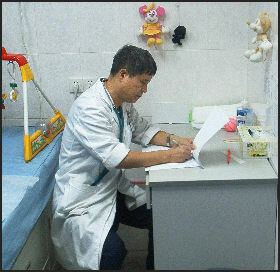 One of the busier departments in Chinese hospitals and clinics is the abortion clinic. Improved health care was considered one of the great success’s of the Mao era. Barefoot doctors brought modern medicine and prevention strategies to places that had minimal health care. These and other Chinese health care workers are credited with 1) reducing infant mortality to a lower level than in New York City, 2) eradicating small pox and nearly eradicating sexually transmitted diseases, tuberculosis and schistosomiasis and 3) raising the average life span of Chinese from 35 in 1949 to 68 years in 1979. Many of China's health statistics are comparable with those of a much richer country. Since 1978 health care improvements have slowed. Life expectancy has only increased by 3.5 years and deadly diseases such as tuberculosis and schistosomiasis have returned. China spends only 4 percent of its gross national product on medical care, compared with 15 percent in the United States. Some criticize the Chinese government for spending billions on huge infrastructure projects like the Three Gorges Dam rather than providing cheap, basic health care. By the 1990s, China's healthcare system was “in crisis” and, with only 10 percent of the population entitled to benefits, it ranked 188th out of 191 countries in a World Health Organization (WHO) equality report. Subsequent government attempts to develop an employee-employer co-funded insurance scheme were of limited success, and by 2005 had achieved only 40 percent coverage. The government's response was to increase healthcare spending by 87 percent over the next two years - a monumental rise - and to outline plans for a national healthcare system by 2020. Further spending hikes and regulatory changes have followed, particularly as part of last year's economic stimulus plan. Spending in 2010 is up another 8.7 percent, with about 4.5 percent of gross domestic product (GDP) allocated to healthcare, half of which comes from the private sector. Medical care is often less than ideal. When patients go to a hospital, they often have wait to get a number, then go to another window, and get another number and wait again. To get into a hospital sometimes people starting lining up at three o' clock in the morning to squeeze through the doors in a suffocating rush when hospital finally open at nine, with children and old ladies getting squashed in the process. Jingying Yang wrote in the New York Times, “On an unseasonably cold afternoon in April, Da Yong, from Harbin,in the far north of China, stood for six hours in a biting wind outside the Peking University Medical College hospital, waiting with 15 other patients to get a number. He had been in Beijing for two weeks, he said, standing in lines to seek treatment for his wife’s facial boils. Sure, there are hospitals in Harbin, he said, but I wanted the best for my wife, so we came here. It’s like this at all the big hospitals. There’s no other way. In some ways the Chinese health care system is incredibly inefficient. Medicine is wasted. Hospitals are so overstaffed that many doctors spend more time playing mah-jong or drinking beer than treating patients. A lack of competition has resulted in a decline of services and care. But in other ways China’s health care is efficient. In the New York Times magazine, Sheryl Wudunn wrote, "China, has channeled it money to basic care---an approach that is far more cost effective. For example basic treatment for leukemia costs about $5,000 and on average adds a bit more than a month to a patient's life. The same $5,000 used to buy vitamin A supplements for children, adds a total of 10,000 years of life expectancy." The government fixes prices on all medical services and pays doctors like public officials. The salaries and fees are often very low. This has led those in the medical profession to seek other ways to make money and to doctors choosing better paid professions. Waiting outside a clinic There are good clinics and hospitals and bad ones. Most are clean and neat, the doctors and nurses are well trained and disciplined, and good records and charts are kept on the patient, but shortages of medicines, sterilized needles and supplies are common. Hospitals and clinics sometimes have good medicines and vaccines but lack the infrastructure---refrigerators, clean syringes and nurses---to keep them safe and deliver them. Sometimes needles are reused, spreading disease and infection, and vaccines are given even though their effectiveness has been compromised by lack of refrigeration. To get around these problems, health care officials are using three cent stickers that change color when exposed to heat to indicate their contents have been spoiled, pre-filled injection devices that eliminate the need for the syringes and vaccinations that can be given orally. It is not uncommon for hospitals to lose electricity because of power shortages, to lose radio contact with the outside world because they are unable to pay their electricity bills, and to loss their ability to provide ambulance service because there is no money for gas. The supply of basic medicines is variable. Well-stocked clinics are often that way through the work of lucky, aggressive and well-connected pharmacists. China has an ambitious plan to create a community hospital system. To staff such a system its needs 165,000 doctors. China’s pyramidal health care system is structured around many small hospitals at the bottom, fewer midsize hospitals in the middle and a small number of very large hospitals at the top. Treatment by a doctor A study published in the Lancet in 2010 showed children born in rural China were three to six times more likely to die before they turn five than those born in cities.Many rural people rely on local health care that is often in the form of ill-equipped clinics and local healers. There are no ambulances or 911 numbers. People often have to walk, sometimes for days, to get to a decent clinic or hospital. People with medical problems often can do nothing about them because they can't afford medicine or a visit to the doctor. Many people don’t practice rudimentary disease prevention measures such as keeping water covered, washing vegetables, brushing teeth, vaccinating children, taking the garbage away from the house and screening windows against flies and mosquitos. 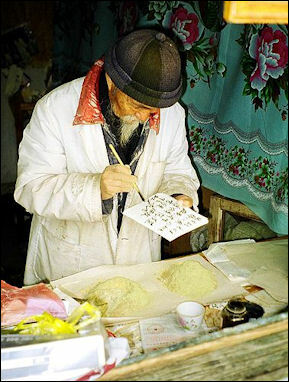 The village healers methods include tendon stretching and “scraping away fever.” Among the books he swears by are Rely on Yourself Not Doctors by Zheng Fuzhiong, Decoding the Inner Canon of the Yellow Emperor by Qu Limin, The Tao of Chinese Medicine by Yie Housheng, and Users Guide to the Meridians and Collaterals in the Human Body by Xiao Yansheng. 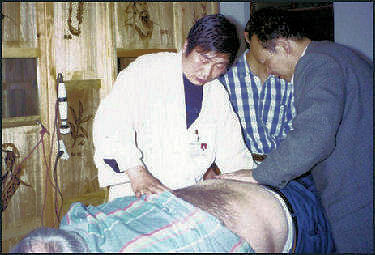 Chinese medicine Fully-trained doctors are notoriously underpaid. They generally receive only a few hundred dollars a month in salary---often less than what some taxi drivers make---and are expected to supplement their income with “red envelope money,” which the families of patients pay for better care, and by selling drugs or performing operations in which they take a cut. Some doctors stop treatment and demand more money before they continue. One medical student in Beijing told the New York Times that even in a top hospital, pay levels are barely adequate. The investment it takes to become a doctor and what you get out of it are greatly out of proportion, he said. A doctor has to spend 10 years on education. Then, if he only gets the government-given level of income, well, that’s really not enough....Even with conference fees, speaking fees and other income added in, the total income is still low. Even if we are doctors, we still have to make sure that we have food to eat and clothes to wear. Doctors are also overworked. They typically see 50 to 60 patents a day and often spend less than five minutes with each one. Many doctors are women. Many of the male ones smoke. More than half of Chinese doctors smoke. There is a shortage of doctors in China. There are only 4,000 general practitioners in the whole country. In August 2005, Health Minister Gao Qiang criticized China’s hospitals for being greedy and putting profit ahead of their social functions. 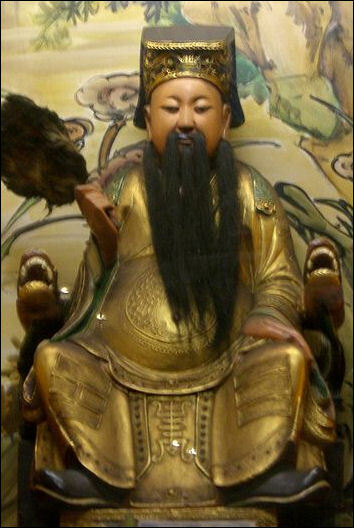 Taoist god of medicine One forth of China’s population---over 300 million people---have no health insurance. People with no insurance avoid seeing doctors, knowing that is quickest way to go broke. Even when people have insurance, insurers rarely pay out more than a couple thousand dollars. A nationwide insurance roll-out was launched in 2009. It has made people more likely to see doctors and made treatment much more affordable. Almost nine percent of people stayed in a hospital in 2011, from less than four percent in 2003, a study published in The Lancet showed. Under the Chinese health care system, the government pays 60 percent of hospital expenses but contributes virtually nothing for medications and outpatient services. Families of a child that is sick, handicapped to has died receive a monthly stipend of 80 to 100 yuan once the mother reaches the age of 49. Some cities and provinces provide additional subsidies and coverage. Companies and individual can purchase private insurance policies. State urban plans often only over individuals in their home cites. If they travel to another city and need help they are not covered. A 34-year-old editor who has commercial health insurance in addition to state coverage told the Washington Post she paid for the first $300 of the cost for her treatment for a recent bout of pneumonia and insurance covered 90 percent of the next $750. Coverage for children often only applies if the children are hospitalized. Expenses outside the hospital which can run into the hundreds of dollars is not covered. The Chinese government has made setting up adequate health insurance a top priority. There is a plan to establish community insurance pools and programs in which workers are forced to put a percentage of their income in an individual medical account. 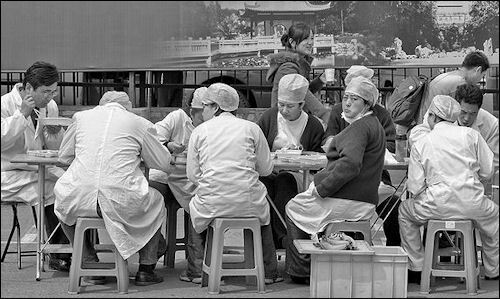 In 1994, the State Council overhauled the system by placing urban workers in city wide insurance pools that embraced around 200 million of China’s 1.2 billion people at that time. Hospitals and industrial enterprises severed their ties. Instead employers contributed 6 percent of wages and employees 2 percent to cover medical costs. The system failed to provide descent health care. Out of pocket expenses increased dramatically, far exceeding per capita income and national health expenditures. The government went from paying 90 percent of medical expenses in the early 1990s to 17 percent in the mid 2000s. According to the World Bank, the number of Chinese with access to state facilities shrunk from 71 percent to 21 percent between 1981 and 1993 and out-of-pocket expenses for medical care increased 100 times between 1980 and 2005. 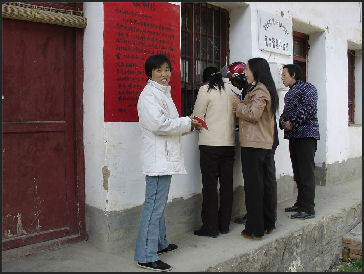 In 2003, the Chinese government gave more money to rural medical cooperatives and set up a system in which farmers put in $3 a year and the government provided a $12 subsidy for coverage of 25 percent to 30 percent of hospital expenses but little for outpatient care. The coverage doesn’t sound that great but 850 million enrolled n it. 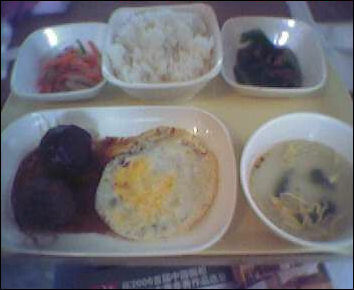 Between 2009 and 2012 the government plans to increase its contribution by half. In 2007, the government extended coverage to urban workers and families who had been without coverage since the end of the 1994 collapse of the work unit system. Children, elderly, migrant workers and the unemployed all qualified for the same $12 subsidy received by rural people but because health care costs are higher in the cities than rural areas, urban people have to contribute more than $30---instead of $12---a year. About 120 million people have signed up for this. In 2009, government pledged to spend $123 billion over three years to deliver basic health care and health insurance to 9 out 10 Chinese. The law calls for a revamping of hospitals and providing better services at lower cost. One of the hopes of the program is that it will help generate growth by getting people to spend more money by removing the need to save money for a medical problems. One of the aim of the health care program approved in 2009 is to provide some form of medical insurance for 90 percent of the population by 2011. Each person covered by the system would receive an annual subsidy of more than $17 starting in 2010. Medicine would also be covered by the insurance, and the government would begin a system of producing and distributing necessary drugs this year.